← If It Can`t be Snowboarded, the Clampitts Don`t Go, But….. The Clampitt Clan has returned from the annual family vacation and I find myself in an awkward, and long-lasting, position. I am the center of attention. When I board a train, all the ladies look me over from head to toe, purse their lips, elongate their necks as they exhale their breath in exasperation and surprise, and covertly attempt to whisper shocked exclamations of horror behind waving fans to the closest friend. Is it my star-spangled afro? Boyfriend jeans I`m too old to wear? No- none of the above. It is…. A deep, dark, coconut colored hue to the skin. I can`t help myself. I grew up in the 70`s. Malibu Barbie was my primary influence. She and Ken drove their purple Dune Buggy all over my sand box. If I could have changed my name to Susan, lemon juice would have colored my black hair blonde, and I was able to sleep on the coke cans I rolled in my hair to straighten it, my transformation would have been complete. A tan. Anathema to a Japanese person. I know this to be fact based on one discussion with an expert. My dermatologist. He enlightened me on the topic of skin concerns by background. Western women tend to be worried about lines while Asian women draw the line on age spots. Just so you know, my visit was for neither. A gaggle of excited, elderly Japanese women recently accosted me demanding an autograph. They were confused by my mustache, mistaking me for Tom Selleck. The good doctor was an expert in laser hair removal. I should have known sunning was an issue- the signs were there. Exhibit A: Umbrellas used rain or shine. 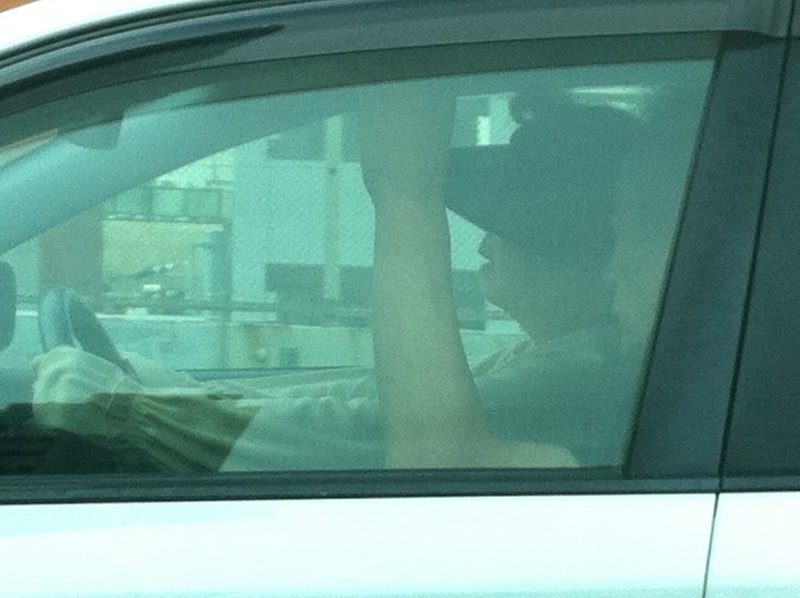 In a culture where millions ride bikes every day, this just seemed to be the evolution of the car visor. Exhibit C: But there is a biking visor. Worn over the face. 100% UV protection. 100% bug protection. 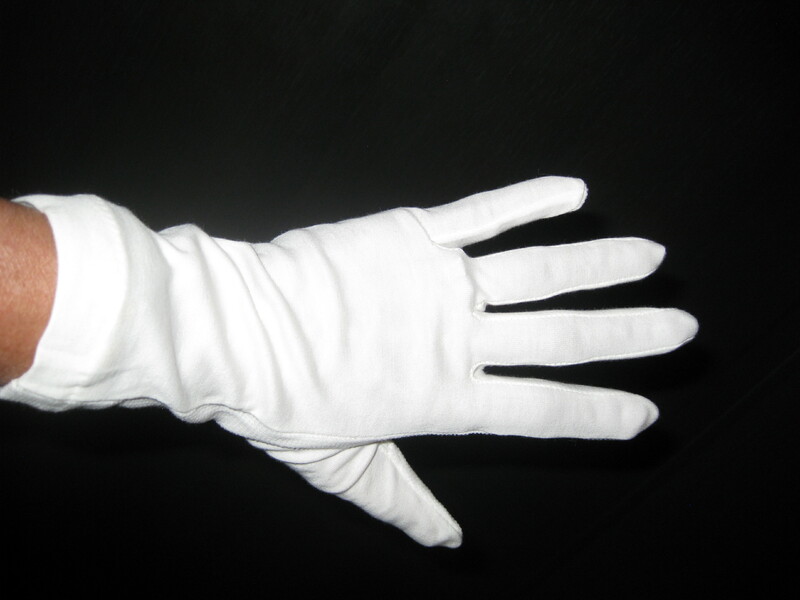 Exhibit D: Cab drivers wear these- and not to check for dust. 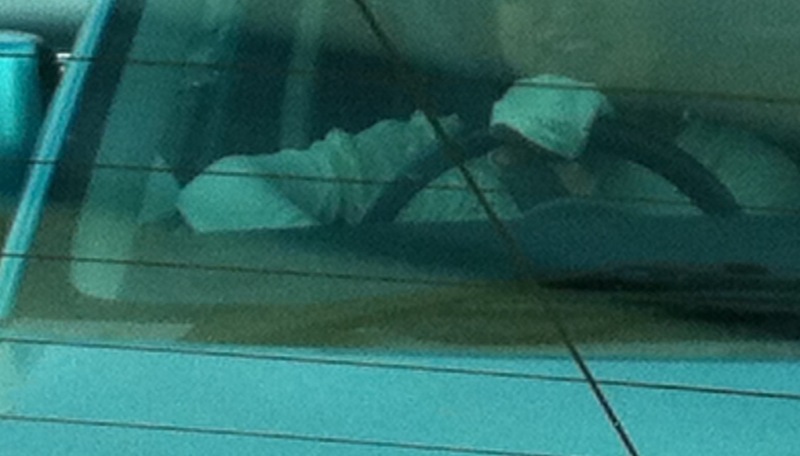 Exhibit F: Even driving, one is not safe from the damaging impact of the sun. Shoulder length gloves and the visor protect just in case. As with all photos taken when in stealth mode, they are grainy, blurry, and meant to be delivered in a manilla envelope without a return address. Andretti-san pulled along side these people, slowed down until my cell phone actually fired the picture, and then screeched off before they had a chance to call the po po. He`s very talented as this is difficult in bumper to bumper traffic. 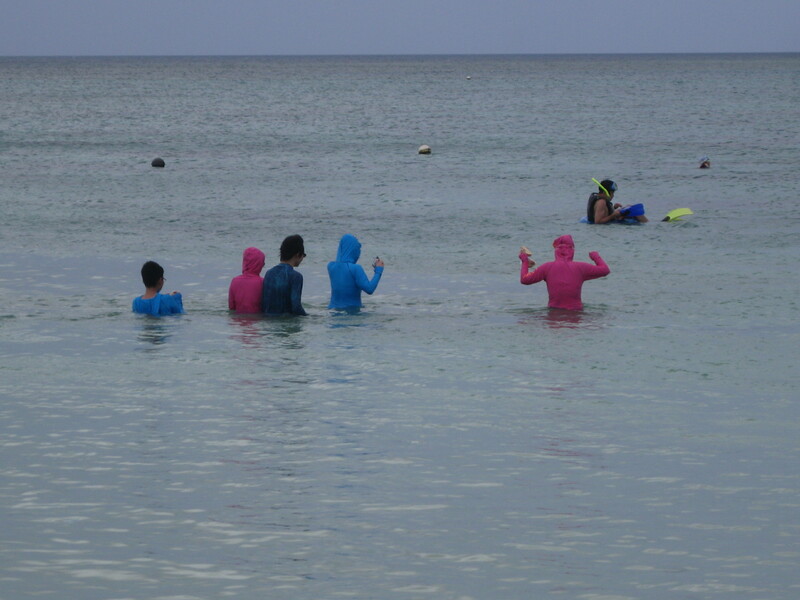 Exhibit G: During our first trip to the beach I realized that people are truly serious about sun protection. Daily temperatures were similar to those on Mercury at this time of year yet people wore sweatshirts with hoodies drawn both in and out of the water. However, according to Dan Levin for the New York Times, no one is as militant about sun protection as the Chinese. He outlines the new look certain beach goers are sporting in his article, “Beach Essentials in China: Flip-Flops, a Towel and a Ski Mask.” Read Article- and see other pictures HERE. Reminds me of the time my sisters and their husbands went fishing and were told to meet the fisherman at the dock. Upon arrival, there was one boat bobbing in the marina. Sitting in the boat waiting was a lone man, holding a machete and wearing a stocking pulled over his head. Wouldn`t you be afraid to share space with that? On the flip side, imagine the fun one could have scaring all the kids popping out of the water unannounced while wearing one of these Chinese neoprene masks…. In the end, yet again, this experience has left it`s mark. My diet has changed and exercise a firm commitment as every day I watch people 85 to 90 years old walk to the grocery store and carry bags home. 70 year olds pass me hiking up Mt. Takao. There is no way to tell the age of a Japanese woman unless you know the age of her children and the age at which she got married. From 20 to 40 and 40 to 75- people could be any age. Plastic surgery, botox, and fillers are not popular in this society. Just a healthy life style. 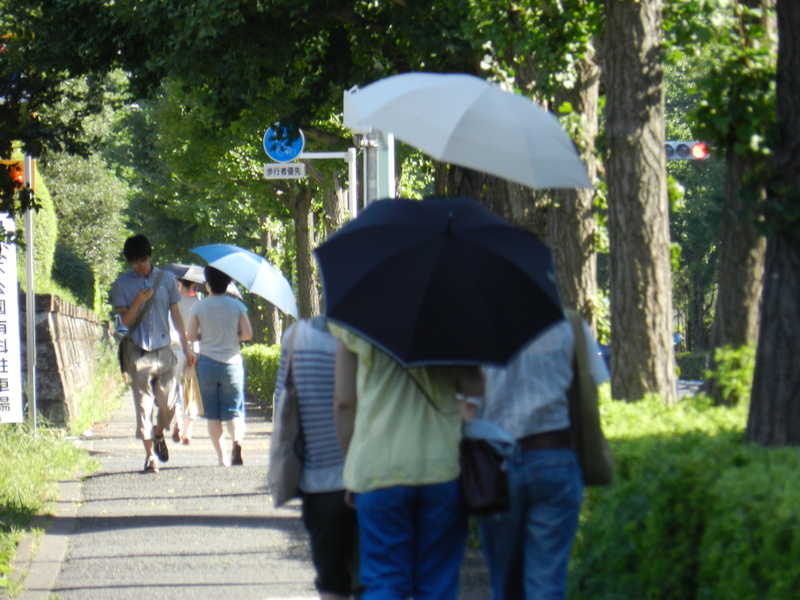 This entry was posted in Culture Lessons, Moving to Japan and tagged Amblerangel, Culture, Culture Lesson, Dan Levin, Emily Cannell, ExPat, Hey From Japan- Notes on Moving, Humor, Japan, Moving, Tan, Tokyo, Travel, Vacation. Bookmark the permalink. 32 Responses to Will Wearing a Ski Mask Help Ouisar-San Avoid Another Cultural Faux Pas? Hey! Love it! How are you? We just got our container and finally getting settled in Seattle. Let me know how you all are doing back in Tokyo!! Hey AM! Glad ya`ll are doing fine and getting settled in. We are just back from Ishigaki Island and waiting for school to start. Will so miss you on our excursions! One of my favorites!!!! And the fact that we actually went deep sea fishing with stocking head shows how young we were— There was No Way we were walking away from our deposit for our day on the boat!!! Maybe the reason people stared at me when I was there was my sun-damaged chest and age spots on the backs of my hands. I thought it was because I was fat (130 has to be sumo sized over there), sweating, and out of breath. Or maybe my Botox was making my blank stare a little more blank than normal. Who knows. Anyway, Love the post. Miss You! I think it was because we`re middle aged and dress alike. This may be my favorite post, after the shoes-to-hobo one, of course. I had a Barbie called Suntan Tuesday Taylor who not only changed color in the sun, the top of her head spun- blonde to dark. Sweet. How did I not know about Suntan Tuesday Taylor? I also liked that ballerina doll with the long hair that got longer once you yanked it out the top of her head. She was before the days of metamorphasis, sparkling and submerging in water for blue hair. I loved this post! I found myself nodding in agreement and sympathy with every word. I’ve now decided to exult in my own ruin. Yes! I have wrinkles, liver spots and scars. I’m from Africa! I’m a tough cookie! And I shall not, I repeat, I shall NOT, wear a parasol. Je refuse, à la Jean-Paul Sartre! 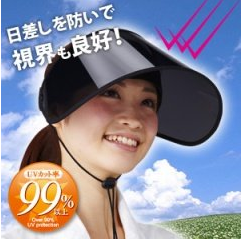 I do like the part about keeping the sun out of my eyes without the dreaded hat head. 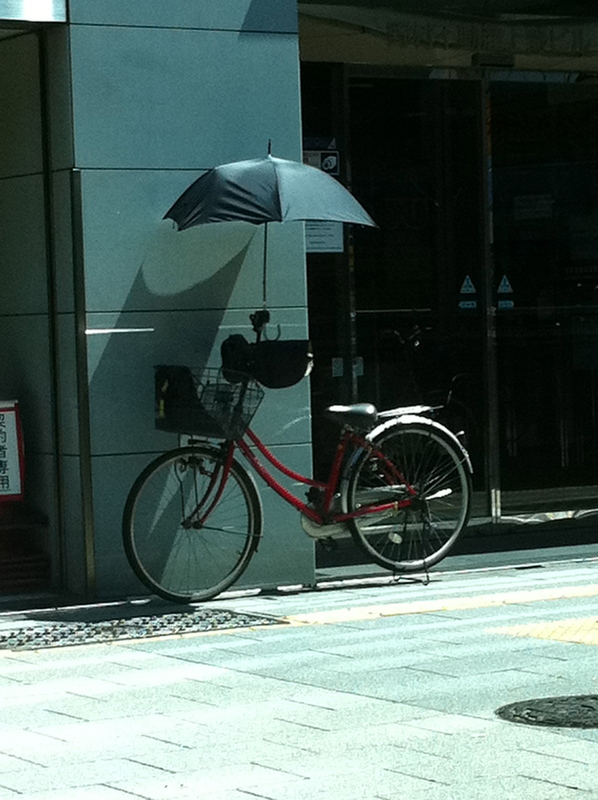 But I`m just so lazy I don`t want to carry the umbrella. SO- I do usually opt for the hat. Of course, it`s way too late for me now. My face currently rests on top of my chest. Great post, Emily. I had all of the Malibu Barbies, which by the way, I STILL have. That might make for an interesting memoir post for me to write. One of the things we ran into in Vietnam were the actual whitening agents in the lotions. Always had to bring the regular stuff back from the US. HMMMM- Maybe I could make use of the whitening agents on all my age spots…. I`m laughing that you have your Barbies- how did they make through the Sarah clean out? This is a fabulous post!! Owls- Thanks! Glad you enjoyed! How interesting! It is probably a hangover from a time when only poor people had tans (from working outdoors). I have come across the same thing in other Asian countries. I knew an Australian model who tried to get work in Japan once (apparently Japan was quite lucrative for western models at that time). Noone there would employ her because of her freckles. I think so too. A friend of mine who is Mexican said the same of her mother who used to hide her from the sun. Where I`m from it was the hands women would protect- “You can tell a lady by her hands” was the saying. As in no callouses meant no field work. So interesting about the role culture plays in how people perceive beauty. When I was a kid we’d lay on the beach for hours without sunscreen. We just didn’t know. 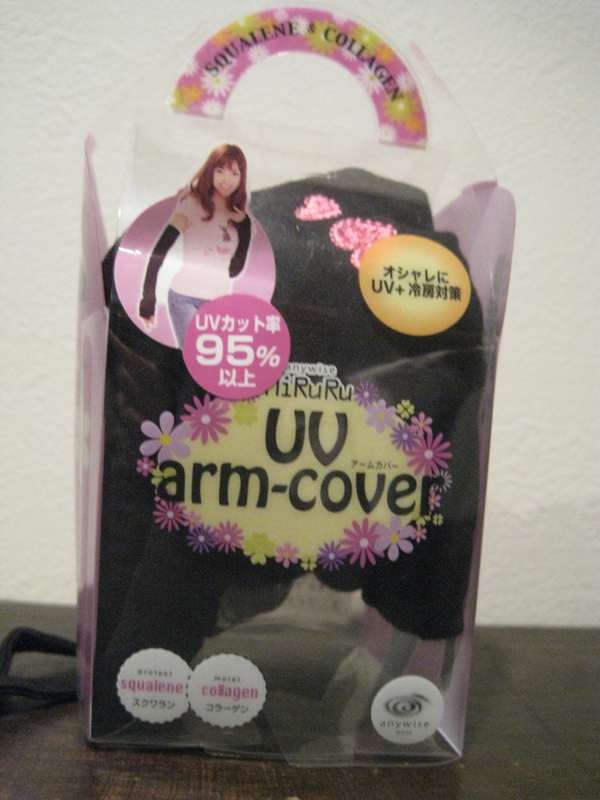 I’m not sure I get the point of the UV sleeves. Why not just wear a long sleeve shirt? Good question. It`s really hot here- around 95-100 every day with full on humidity. Due to the fact that all of the nuclear power plants have been shut down there is an electricity shortage here and all businesses and homes are operating on reduced power. That means that all businesses keep the thermostat between 80-85F. Pretty hot. So wearing short sleeves to work is a must. Commute with the removable sleeves and take them off once inside. When I hear people complain about the heat as they walk into ac keeping the restaurant cooled to 60 makes me cry with envy. Whoa! And I thought it had been hot here! As Southerners we are no strangers to humidity, but that sounds relentless. Think New Orleans during the summer. That’s what Tokyo is like now. Being ginger this society looks perfect for me! Guaranteed to wipe away freckles! I must be one of the palest people in Southern Africa – despite all the sunshine here! Haven’t quite resorted to these Japanese-style measures though. 🙂 Those face-masks look scary! Do Japanese people also wear sunglasses a lot? Women do, and young men. Older men usually don`t. Only the mafia wear sunglasses. Andretti-san wouldn`t be caught dead in pair! Here in China skin whitening products are sold everywhere. Not only do they dislike dark skin, they don’t even know they should pretend not to be racist. I need some- or else I can just wait for my age spots to fuse and I can be really tan all the time. I agree with you Michi! If only I had an aversion to the sun, but my Aussie self is so partial to a tan! Damn it. Emily, that was a hilarious blog post. It made me giggle because I remember seeing all that stuff when I was living in Japan! Hahaha. This is insane! Are whitening creams a big thing in Japan? You Know- I don`T think so. I know in China they are the thing but here people really are careful to stay out of the sun. Or rather, not to get exposed to it. I still love and am jealous of a deep dark tan!!! And that’s a good thing. Especially the first sentence. I wish that were true in Western society. Sigh… or at least it were cheaper and didn`t make you look like a puffer fish.